A review of "The Beach"
I saw the last ten minutes of this movie. 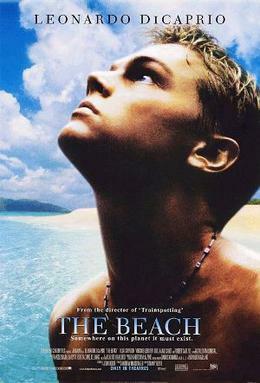 A bunch of hippies are thrown off a paradise island by a poor Thai farmer who wants to feed his family. He also exposes the cultish leanings of the lead hippy. Good going. The farmer has my sympathy. I only wish he would grow something else than marihuana. How about rice?